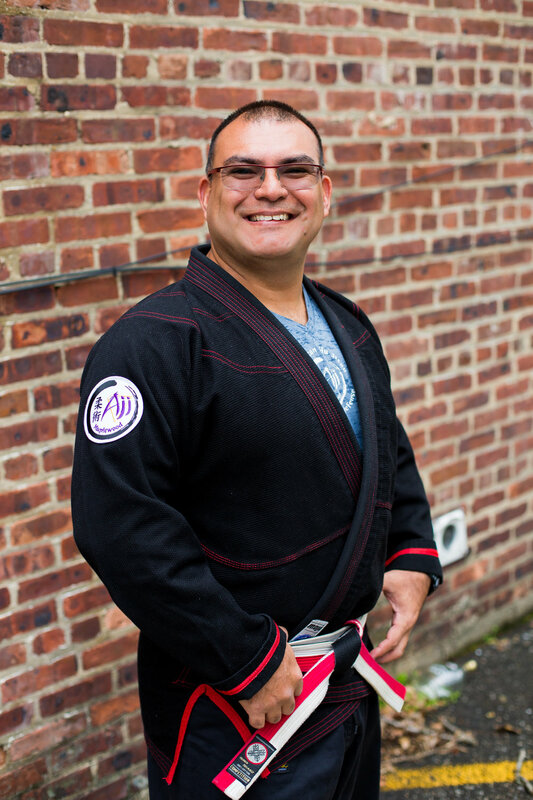 Renshi Tony Avila is the founder and head instructor of American Jiu Jitsu (AJJ) of Maplewood, a club organization under the American Jiu Jitsu Federation. Renshi Tony started his American Jiu Jitsu training in 1994 while attending college at MIT. In 1997, he successfully completed the AJJ Instructor Certification Course and was designated an AJJ Certified instructor. He went on to earn rank of Shodan (First Degree Black Belt) in 1998. Renshi Tony then received his Nidan rank (Second Degree Black Belt) in 2001 and Sandan (Third Degree Black Belt) in 2005. 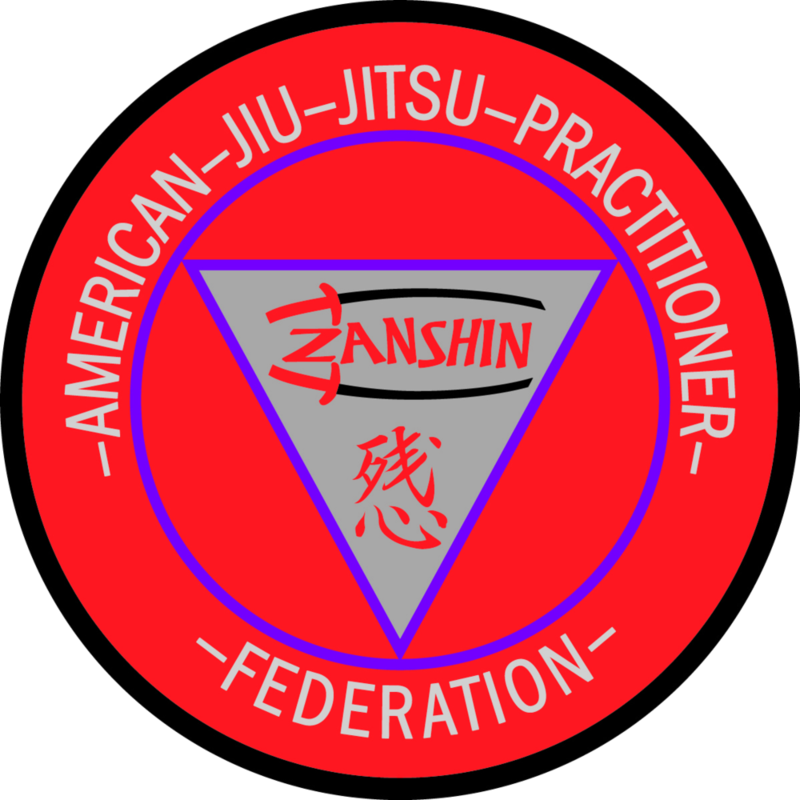 In 2011, Renshi Tony advanced to his present level of Junior Master, the rank of Renshi (Fourth Degree Black Belt), by O’Sensei Joe Puleio, the founder of American Jiu Jitsu Centers. This title is only awarded to a select group of elite martial artists in the American Jiu-Jitsu systems. Renshi Tony has taught thousands of students, including the preparation of high ranking students for various levels of black belt. Renshi Tony’s breadth of teaching ranges from teaching children self-defense and anti-bullying to training local Law Enforcement officers as well as Dept. of Homeland Security field agents. His teaching methods ensure that all levels of students understand the basic mental theory and physicality associated with each technique, with safety as a primary concern. Renshi Tony grew up in the Rio Grande Valley (extremely SOUTH Texas) and ventured off to pursue his studies at the Massachusetts Institute of Technology as well as Columbia University. He is a finance executive in downtown Manhattan, and lives here in Maplewood, NJ with his beautiful wife and two wonderful daughters. Joe Barnett studied Goshen-Do Kempo and Samurai Jiu-Jitsu with Sensei Hector Geneo under the Bob Long School of Self Defense, Lodi Nj. He also studied Shura Jitsu in Maplewood under Hanshi Louis Toledo and boxing in Newark under Herman Ingram. Outside of martial arts his main interests are music, hiking, animals, politics and traveling this great country. He graduated with Bachelor degrees in music and mathematics and worked as a computer programmer and analyst until his retirement. He hopes to spend the rest of his life doing all of the above and continuing to learn while striving toward new goals. Joe lives in Maplewood, NJ with his wife and two children. Terrence Dalton began his Jiu Jitsu training back in 2013 here at American Jiu Jitsu of Maplewood. In 2017, Terrence completed his Instruction Certification and has been contributed much of his time helping share his knowledge of Jiu Jitsu teaching Anti-bullying and Self-defense in our children's classes. Sensei Dara began her Jiu Jitsu training in 1995 while attending Simmons College in Boston. In 1999, she was promoted to the rank of Shodan (First Degree Black Belt) in American Jiu Jitsu and in 2003 earned her Nidan (Second Degree Black Belt) under O'Sensei Joe Puleio. A ballerina since she was 4 years old and a Physical Therapist by trade, Sensei Dara incorporates her understanding of body movement and mechanics into her Jiu Jitsu resulting in refined technique and instruction. Sensei Dara runs her own Physical Therapy practice (DKA Physical Therapy) in Maplewood where she lives with her radiantly handsome husband and two wonderful daughters. Sifu Rick's formal introduction to Asian martial arts began with Goju Style Karate when he was in high school. While he was a college student, though, he was introduced to Chinese Kung Fu and Tai Chi Chuan by Sifu Sidney Austin. After college and law school, he began studying Shaolin Kung Fu and Tai Chi Chuan under Sifu Al Bender (9th Dan Kung Fu master and (former) student of both Master Bow Sim Mark and Grand Master Peter Kwok). Sifu Rick, whose training includes a variety of traditional Chinese weapons, earned his Tai Chi Chuan teaching certification and his Second Degree Black Belt from Sifu Al Bender. He began teaching Shaolin Kung Fu and Yang Style Tai Chi Chuan under the direction of Sifu Bender in 1999. In 2004 Sifu Rick developed his Tai Chi Basics method of instruction, and he has been teaching Tai Chi Chuan, viz.,TCB, at AJJ Maplewood since 2015. Sue has an extensive background in dance, corrective exercise, and gymnastics. She has danced with the Red Dogs, the “Avia” Dance Demo Team, and showed off her dance skills on MTV: The Daily Burn and Grind and in The Method DVD series. Sue has a gift for working with young children; a gift she developed back when she was a 1st Grade teacher. In 2016 Sue began running her Acrobatics program at AJJ Maplewood and continues to bring out the best out in her students through cool gymnastics technique and tricks. Her contagious energy and enthusiasm inspires students to connect with their inner power through strength, flexibility, and coordination…all while helping them have a blast doing it!